The Sweat Lodge is a ritual where individuals enter a dome-shaped dwelling to experience a sauna-like environment. The lodge itself is typically a wooden-framed structure made from tree branches. Hot rocks –we call them grandmothers and they are consider to be medicine- are placed inside an earthen-dug pit located in the center of this man-made enclosure. Water is periodically poured over the heated rocks to create a hot and steamy room. 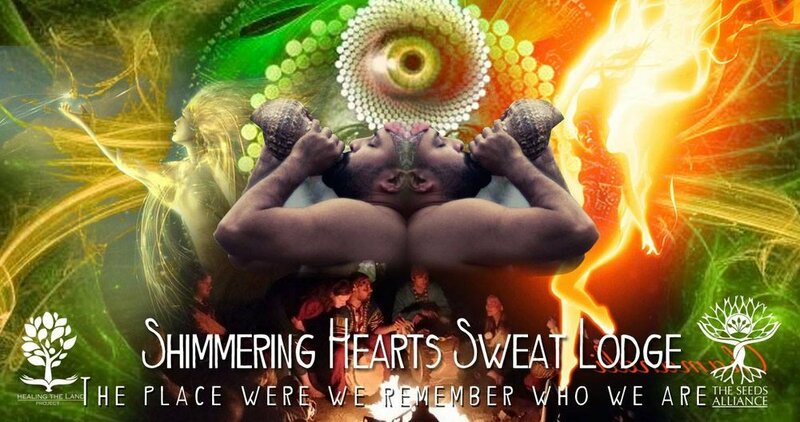 The sweat ceremony is intended as a spiritual reunion with the creator and a respectful connection to the earth itself as much as it is meant for purging toxins out of the physical body. Mental Healing - The Sweat Lodge ceremony gives its participants the opportunity to free their minds of distractions, offering clarity. Spiritual Healing - The Sweat Lodge ceremony offers a place for introspection and connection to the planet and the spirit world. Physical Healing - Sweat Lodge ceremony gives anti-bacterial and wound-healing benefits. There are many variations in how a Sweat Lodge is carried out, in some cultures it is a sacred ceremony of purification, whereas in others it fulfils the function of physical bath. Our Sweat Lodge bring together different traditions and the ways of different teachers from around the world. Our Sweat Lodge is a focus in helping our participants to establish a sacred relation with the elements. The Sweat Lodge is a place of spiritual refuge and mental and physical healing, a place to get answers and guidance by asking spiritual entities, totem helpers, the Creator and Mother Earth for the needed wisdom and power.